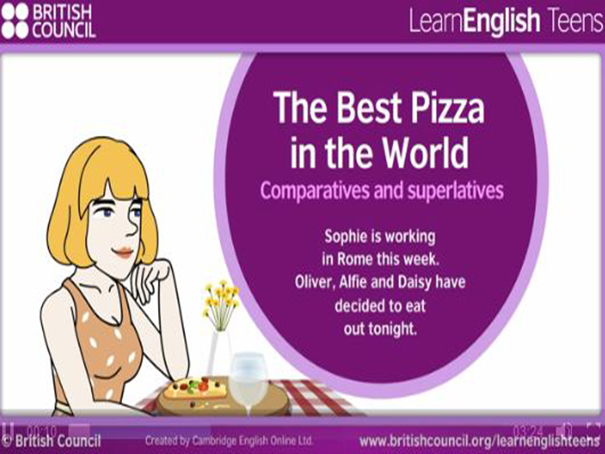 When we want to compare two or more things, we can change the form of adjectives by adding –er or –est. We can also use extra words like more or most and expressions like not as … as. Read up on the rules using this site, watch the video and then answer the questions to check your understanding.